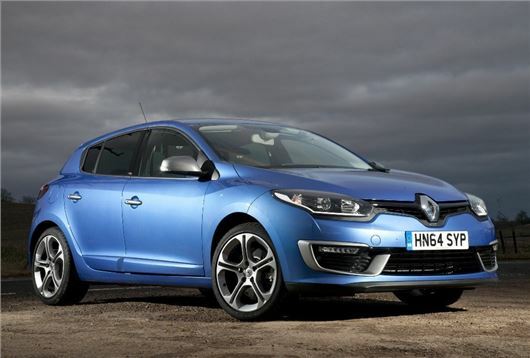 Renault has expanded the Megane Sport range with a new, cheaper model. The Megane GT 220 is powered by a 220PS 2.0-litre turbocharged engine and features a racing-engineered chassis. Available to buy now, the warm hatch is £2745 cheaper than the Megane Renaultsport 265, with prices starting at £23,245 for the GT 220 hatch. The Megane GT 220 is available in three body styles – hatch, coupe or sports tourer - and is based on the current GT Line TomTom trim. However, the GT 220 gets some notable ‘sporty’ touches, which include a 2.0 turbocharged petrol engine that will fire the Megane from 0-62mph in 7.6 seconds. A racing chassis, sports suspension and enlarged brakes complete the mechanical makeover. Renault claims the GT 220 will represent the new entry level to the world of hot Meganes and appeal to drivers who want the look and feel of the RenaultSport 265, but are unable to stretch to the £25,990 needed to secure the potent 265PS hot hatch. The GT 220 will be kinder on the pocket, with its 2.0-litre 16-valve turbocharged petrol engine returning a claimed 38.7mph while emitting 169g/km of CO2. However, torque will be plentiful with 340Nm available from 2400rpm. It also gets the full RenaultSport appearance, with reshaped bumpers, sport air intakes and a racing rear diffuser. Bespoke paintwork options and 18-inch alloy wheels are also included. Inside, the Megane gets sports seats, polished carbon trim and aluminium pedals. A leather steering wheel with thumb indents completes the warm hatch appearance. Based on the GT Line, the Megane also gets decent amounts of standard kit, with dual-zone climate control, cruise control and navigation. The options list offers scope for personalisation, with carbon grey heated leather seats, automatic headlights and a lane departure warning system. Prices start at £23,245 for the hatch and rise to £24,230 for the coupe. The family friendly sport tourer will cost £24,245. As with all models, the GT 220 will be covered by Renault’s four year or 100,000 miles warranty.